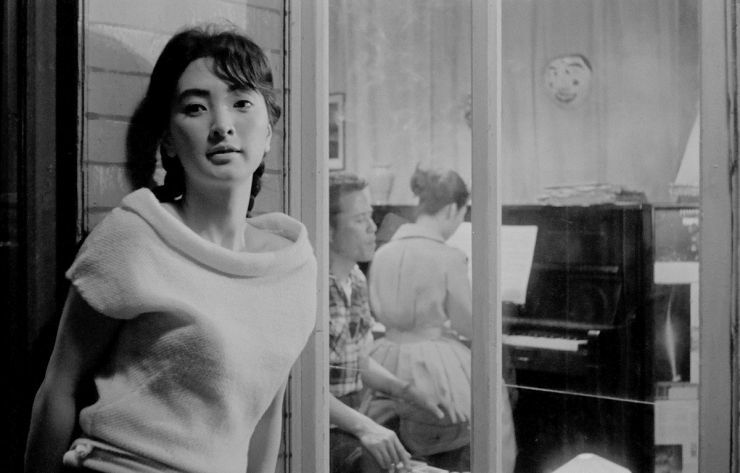 The Housemaid features piano teacher Dong-sik (Kim Jin-kyu (김진규), a married man who is nonetheless highly admired by his all-female class. When student Miss Kwan writes Dong-sik a love letter, he is so appalled that the student is fired from her factory job and forced to return to her countryside hometown. 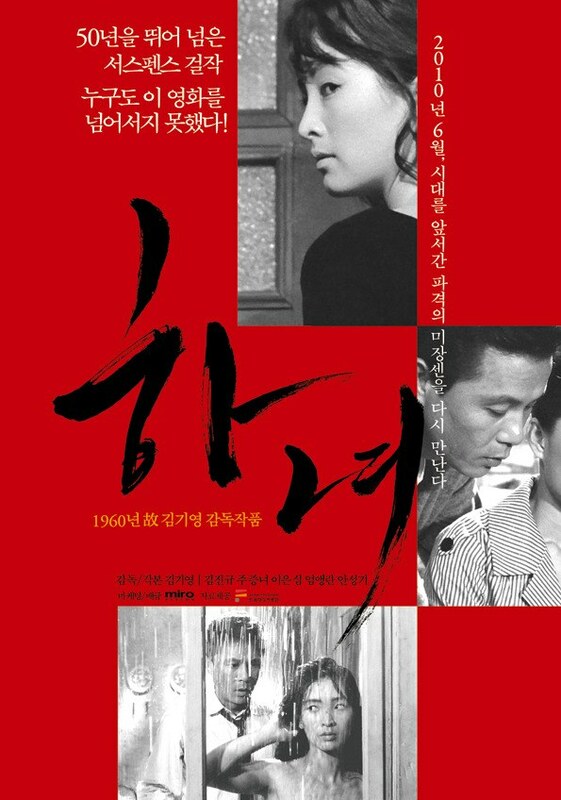 Despite this, Dong-sik begins teaching the her best friend, Jo Kyeong-hee (Um Aing-ran (엄앵란), piano lessons at his middle-class home. His wife (Ju Jeung-ryu (주증녀) works from home as a seamstress and takes care of their son Chang-soon (Ahn Seong-gi (안성기) and polio-suffering daughter, leaving little time to cook and clean. In need of a domestic help, Dong-sik asks Miss Jo for assistance who in turn recommends her friend to be their housemaid (Lee Eun-shim (이은심). Problems arise however when Miss Kwan, so humiliated by the scandal of rejection, commits suicide. 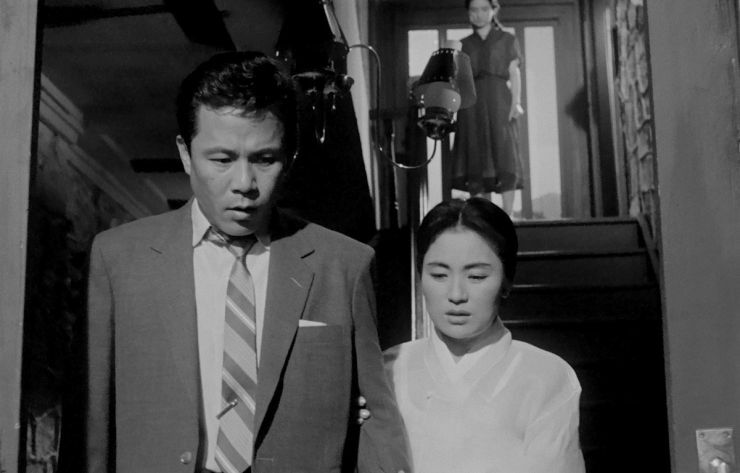 In shock, Dong-shik returns home where the housemaid takes advantage of the situation to seduce him, sending the entire household into the depths of scandal. 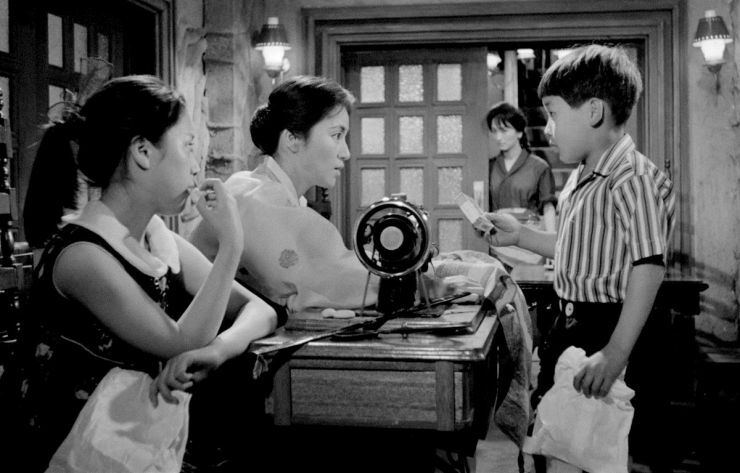 The Housemaid is a landmark piece of filmmaking, one that captures the considerable array of socio-cultural anxieties of the era through the protagonists and mise-en-scene with incredible sophistication years ahead of its time. The narrative is timeless and enthralling in depicting the breakdown of family through betrayal, while the gender politics and debates within are captivating. Such recognition is not stated in terms of national cinema, but as a classic on the global stage as The Housemaid deserves acknowledgment on an international scale as an incredibly significant contribution to world cinema.